Let me introduce you phaser particle editor. 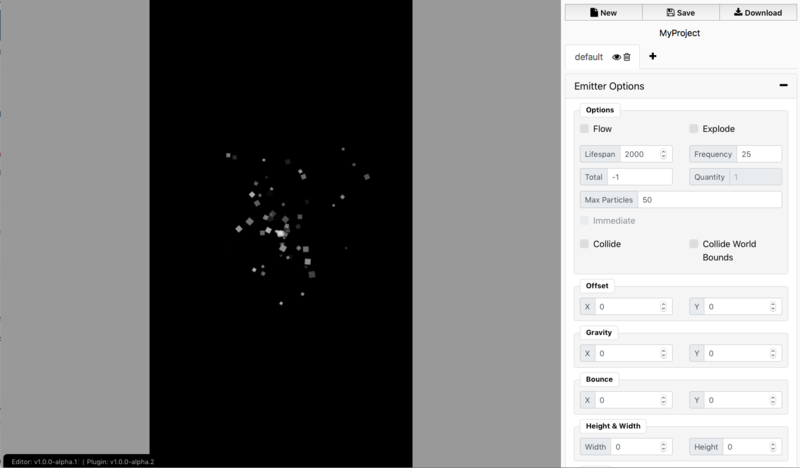 This tool helps you to create phaser particle effects visually. It is of course open source and you are welcome to contribute! 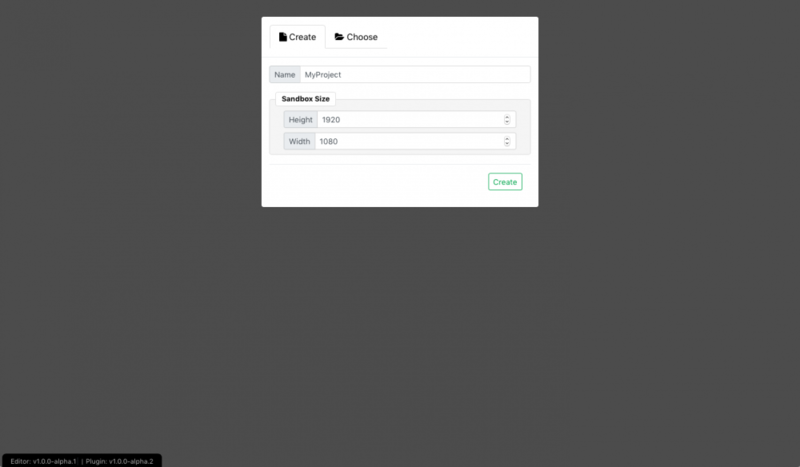 Editor also has plugin to help you create particles based on JSON data generated by Editor. Phaser Particle Editor v1.0.0-alpha.4 released! Edit: Does it use ParticleStorm? Hi! This might sound like a silly question perhaps, I'm new to Phaser and I would like to use this particle editor in a game. I created a json with the editor, but unfortunately I cannot make the particles start emitting. Can you send me the json file you try to use? So, I think the problem is actually I'm using Node.js instead of Common.js, in your github page you list two ways of importing the plugin: CommonJS and ES2015. There is a way of importing with Node.js? Can you show examples of how to use the particle systems in a game? I've created a "particleEffect" in my game but I can't figure out how I'm supposed to use it. Hi saqsun, is there a minified js or a single js for the plugin? I am a newbie and not sure how can I minified a plugin if that is possible. Thanks. Found the minified js 😛 It was right in front of my face.